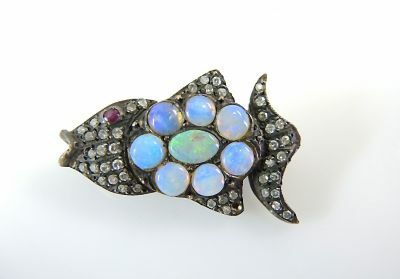 One nine karat rose gold and silver top fish brooch. One opal (0.15 carats). Seven round cabochon opals (0.64 carats). Forty-four single cut diamonds (0.37 carats: SI clarity: H-I colour). One ruby (0.04 carats).